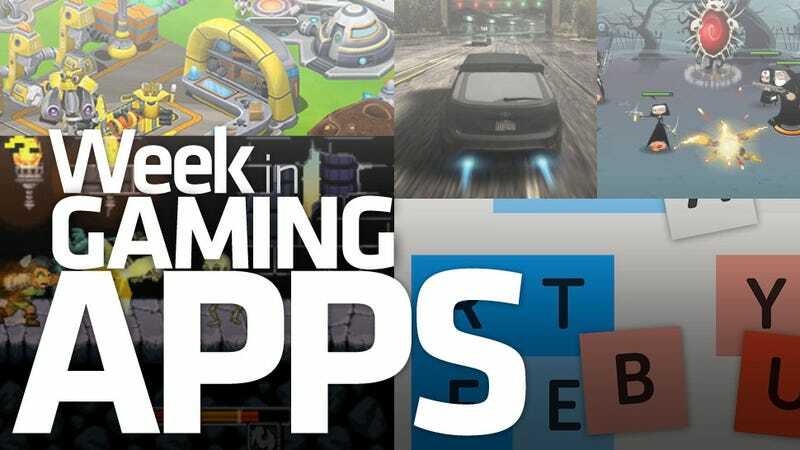 Welcome to the first (and hopefully final) Tumblr edition of Kotaku's Week in Gaming Apps, where we look fondly back at the mobile games that touched our lives during this trying time, except for the one from Monday that we can only link to via Google cache. Since our normal format won't work here, I give you this abnormal format instead. Just a simple selection of links to games about punching things in the face, winning the race, becoming a vocabulary ace, breeding robots in space and using guns to say grace. Check them out while I go be all proud of myself for that last sentence. Good job, me.